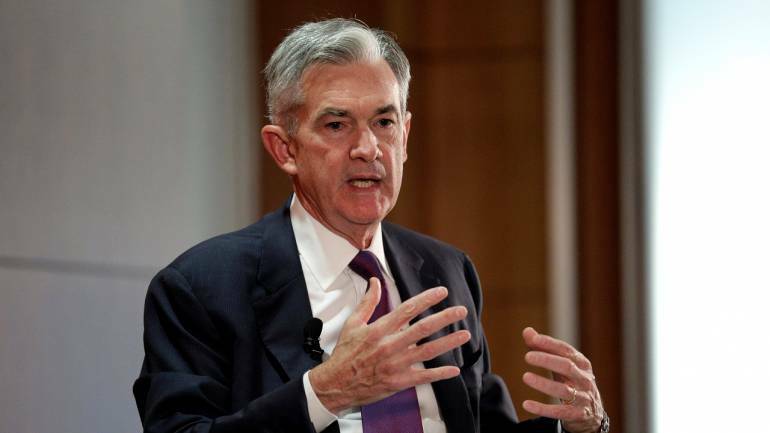 Investors at the US stock market have lost approximately $1.5 trillion in market cap following three public statements by Federal Reserve Chairman Jerome Powell in 2018, JPMorgan Chase has said. According to its analysis, there appears to be direct causation between Powell’s remarks and stocks, as the market took a hit on all the three occasions that Powell made speeches since assuming office in February 2018. “While we acknowledge that it is not possible to attribute the market impact of each speech with certainty, simple math indicates that $1.5 trillion of US equity market value was lost this year following these speeches,” JPMorgan wrote in its research note. Analysts found that on average the S&P 500 drops 0.44 percentage points when Powell addresses a news conference following a Federal Open Market Committee meeting. On other occasions, the average decline is 0.4 percentage point. The possible reason for a negative response could be because of a worry that Powell and the Fed aren’t understanding the current landscape, the analysis claimed. “Specifically, the equity market likely implies that the Fed is underestimating various risks, and hence is increasing the implied probability of the Fed committing a policy error in the future,” wrote Marko Kolanovic, Global Head of Quantitative and Derivatives Strategy at JPMorgan, CNBC reported. “A higher probability of a policy error translates into lower equity prices on the news,” he added. The bank cited three troublesome statements from Powell — stocks are overvalued, multiple rate hikes are needed or necessary, and a stock market “sell-off warrants attention if sustained”. This implies the Fed doesn’t understand the market structure and may stay on the sidelines too long, Kolanovic pointed out. “If fundamental investors start questioning the cycle, a technically driven sell-off could be more violent and more likely to deliver a knock-out punch to the economic cycle,” he wrote and added that the new microstructure of financial markets would not leave enough time for the Fed to react. While the S&P 500 rose about 9.6 percent, even after interest rates were hiked thrice, the market and President Donald Trump, did not seem to believe Powell’s rhetoric. Powell has repeatedly said that he believes the economic outlook is strong and that this is a good time for the central bank to normalise policy after years of an ultra-accommodative stance. Earlier, Trump had criticised the central bank stating that he was worried that the Fed’s insistence on raising interest rates could cost the economy the substantial momentum it built up since the 2016 elections. How to Seal the Best Deal for Your Series A Funding?